Ferrying genetic materials into cells is no easy task. It involves punching tiny holes into living cells without damaging or killing the cell itself or the surrounding tissue. Now, scientists at Georgia Institute of Technology have found a way to use a laser in conjunction with nanoparticles to pierce cells more efficiently and in a controlled manner. Researchers have been trying for decades to drive DNA and RNA into cells more effectively, using electric fields and ultrasound, along with various other methods, to open cell membranes. However, such methods have generally suffered from safety concerns or low efficiency. A field of human prostate cancer cells is shown after exposure to laser-activated carbon nanoparticles. The many green cells have taken up a model therapeutic compound, calcein, while the few red-stained cells are dead. Each green or red spot is a single cell. Photos courtesy of Prerona Chakravarty. Many kinds of diseases can be treated by introducing molecules into cells and altering intracellular processes. The primary applications in mind for Prausnitz and colleagues are in treating cancer as well as carrying out DNA vaccination. In the approach, carbon nanoparticles are activated by bursts of laser light, which trigger tiny blasts that open holes in cell membranes just long enough to admit therapeutic agents contained in the surrounding fluid. 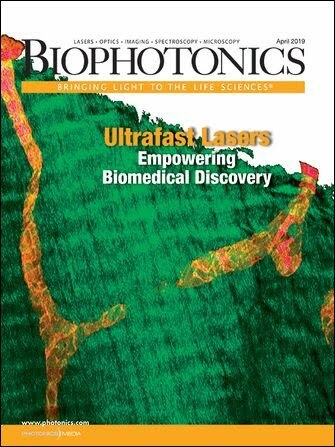 By adjusting laser exposure, the researchers successfully administered molecules to 90 percent of targeted cells – while keeping more than 90 percent of the cells alive. The research was sponsored by the National Institutes of Health and the Institute of Paper Science and Technology at Georgia Institute of Technology and was reported in the August 2010 issue of Nature Nanotechnology. Pulses from an 800-nm femtosecond laser were used to heat the carbon nanoparticles, which measured approximately 25 nm in diameter. Each carbon nanoparticle reacts with the surrounding water to produce hydrogen and carbon monoxide gas in the form of a bubble. Keeping the laser switched on causes the bubble to continue to grow. Once the laser is switched off, the bubble collapses, triggering a shock wave that perforates the protective membrane of the cell, allowing the therapeutic agents to enter. This field of human prostate cancer cells has been exposed to laser-activated carbon nanoparticles. The cell membranes have been stained red for better visualization. Each red circle is a single cell. The researchers demonstrated that they could get the small molecule calcein, the bovine serum albumin protein and plasmid DNA through the cell membranes of human prostate cancer cells and rat gliosarcoma cells using this technique. Although the study is still in its early stages and much work remains to be done before the approach can be tested in clinical trials, Prausnitz is optimistic for the future.